Choosing a wedding photographer is tough. It’s one of the first choices couples make when they get engaged, yet it’s such an investment and there are so many choices available for a top photographer. 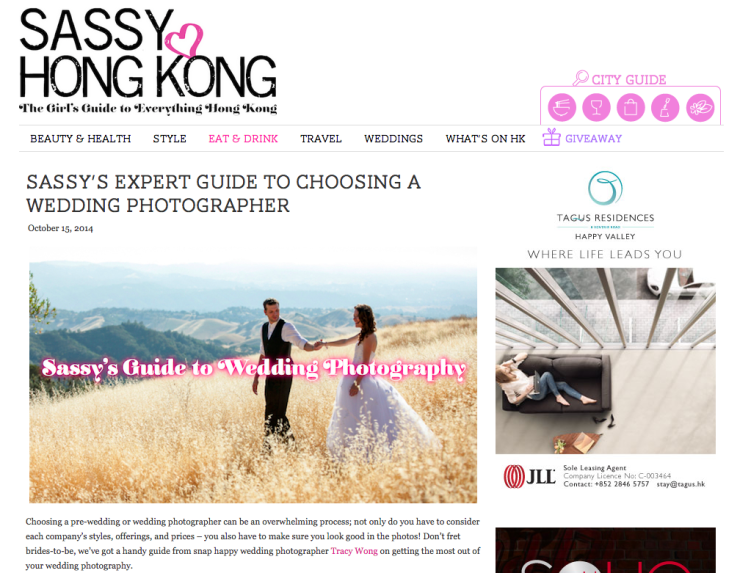 I’ve contributed my expert tips on the amazing blog Sassy Hong Kong to couples on getting the best wedding photography experience. Sassy HK is known as the ultimate lifestyle blog in Hong Kong, and I’m so honored to be featured on their wedding blog section! Check out the article on Sassy HK for the full details. I hope brides-to-be out there will find this wedding photography guide helpful!